These seagulls are patiently waiting for an unsuspecting herring to become a snack. The seagulls hang out by the herring runs for an easy meal. 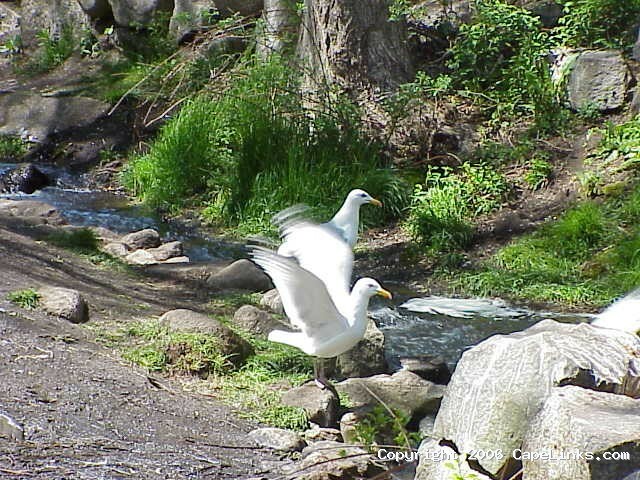 By the time the herring arrive to this upstream location they are weary and make the seagulls’ life easy. This image has been viewed 7156 times and no comments have been submitted yet. You may leave a comment about this image. You can also view more Nature and Cape Cod images or learn more about Cape Cod.